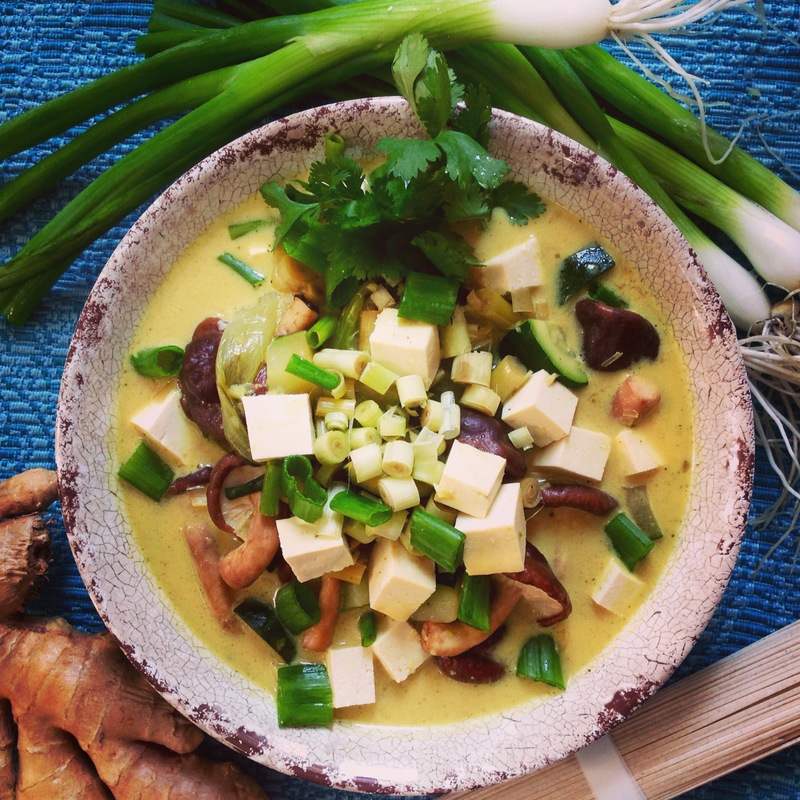 It had been on my nutrition bucket list for quite some time to cook with lemongrass. Its long grassy stalks always caught my eye at the farmer’s market, and screamed “I dare you to try me” (hallucinations much?). Lemongrass, which also goes by the name of cymbopogon (beats me why anyone would call anything that! 😉 ), is used for culinary purposes in Asia and for medicinal purposes in India as it is oft used in Ayurvedic medicine for coughs and indigestion, amongst other ailments. Its scent and flavour are reminiscent of lemon, and the majority of its citrus-y flavour is found in the thicker end of the bulb. This soup pops with complex flavours and starts with a broth that’s been infused with green onion, garlic, ginger, lemongrass, lime juice and kaffir leaves. Tofu and vegetables are also added to soak up the flavour. Soak kaffir leaves in warm water for 20 minutes before using for cooking. 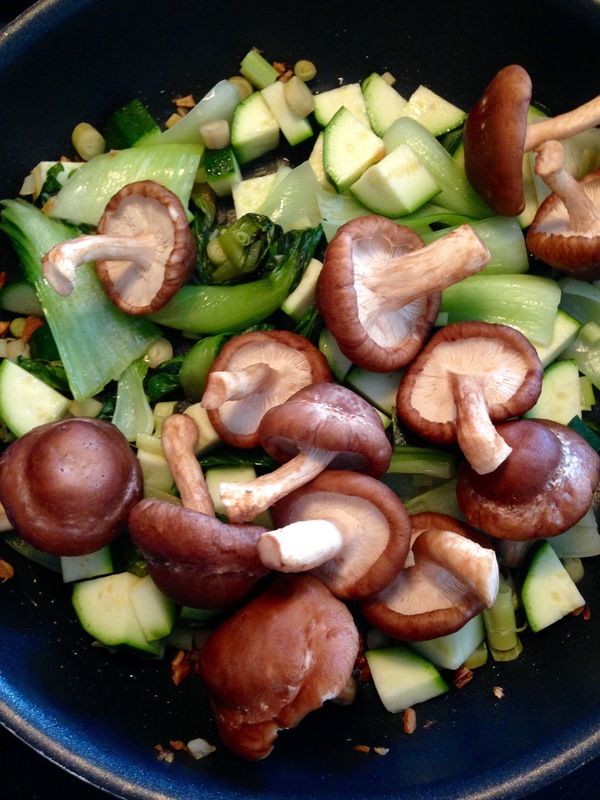 In a skillet, heat vegetable oil and add zucchini, bok choy, garlic, ginger and lemongrass to it. During this time, add vegetable broth, lemon or lime juice, lime zest, soy sauce, curry powder, coconut milk and kaffir leaves to a soup pan and bring to a boil. Once boiling point is reached, reduce heat to low-medium. Add tofu, shiitake mushrooms, snow peas and skillet mix to the broth. Top with fresh coriander and green onion and set your mouth on fire!